As lawyers, many of us don’t understand as much as we should about taxes. It always seems like there’s simply no time to get our taxes done, which is why we tend to hire professionals to get them taken care of. However, it’s still an important topic to be knowledgable on, and these next few blog posts will cover what I’ve learned about taxes and financial planning over the past few years as a businesswoman. Note that I am not a tax professional and this is not tax or legal advice. Always consult a professional because tax laws are very complicated and constantly changing. You’ll also need an excellent “money team” in place and I’ll post about that, too. In this blog post, I will be focusing on the important basics of winning the tax crunch every year: paying quarterlies and saving for your taxes throughout the year. Paying quarterly federal taxes is the key to overcoming the tax crunch at the end of the year. Your CPA should be able to project these quarterlies for you. This is critical to your success. You need an ACCURATE projection. Without that, then there is no way to gauge if your quarterlies are correct or if they need to be adjusted. My business is constantly growing, and by Q4, my CPA decided that our tax bill was going to be higher than expected. Because of this, he helped us plan for a higher quarterly payment in Q4 to save us from the pain of the tax crunch at the beginning of the year. You may know by now that my go-to for bookkeeping is Bench. They are my bookkeeping saviors. Bench is easy to use and focused on customer services and satisfaction. They have an easily accessible online portal where you can log in and manage all of your books. They have a tool that syncs to your bank account so they can pull all of your statements and organize them for you, this way you can simply review their reports each month. Plus, they create very easy-to-read reports! You can look at them by month, quarter, or year. It’s incredibly easy! All you need to do is meet with your CPA every quarter with that quarterly bookkeeping report so they can review everything for you. But remember, it is critical for your CPA to be reviewing these reports. I highly recommend that you do not have your CPA do your bookkeeping as well. I know that this sounds a little paranoid, but I like keeping the checks and balances of my money. If you have one person in charge of all your numbers, it’s easy for mistakes to be made. And sadly, if the CPA makes a bookkeeping error and he also handles your taxes, it’s easy for them to hide the mistake from you. I like keeping Bench and my CPA separate. My CPA reviews my bookkeeping work and makes sure it is all correct—so at the end of the day, there are two sets of expert eyes on it instead of just one. This one thing can make a big difference when it comes to your tax burden! Get your Bench-created P&Ls and get a CPA to review them with you. A mistake I made was asking for quarterly meetings, but not asking us to go through the quarterly P&L’s to ensure we were on track. I think that’s why Q4 hit us so hard. But I learned from my mistakes, and that’s why I want to share with you that you should demand these quarterly meetings and demand that you go through the P&Ls. If you are like me and have gotten stuck paying over $100,000 in an unexpected tax bill, the stress is absolutely enormous. Then you start to get behind on your savings because you find out right around the time that Q1 quarterly is due that you have to pay a huge tax bill by April 15. That’s a horrible feeling. Demand is a strong word, I know, but it’s the right word for this situation. You have to be prepared. Another important way to prepare for taxes is to save throughout the year. A big mistake that a lot of us make is that if there is extra money in the account, we take it out. We pay ourselves or we spend it on things for the firm or on CLE trips or whatever else… we don’t even necessarily spend it on anything fancy. It just gets spent. Money management is one of the biggest struggles for most of us—money is constantly flowing through our accounts, and it’s easy to allow it to flow right out. 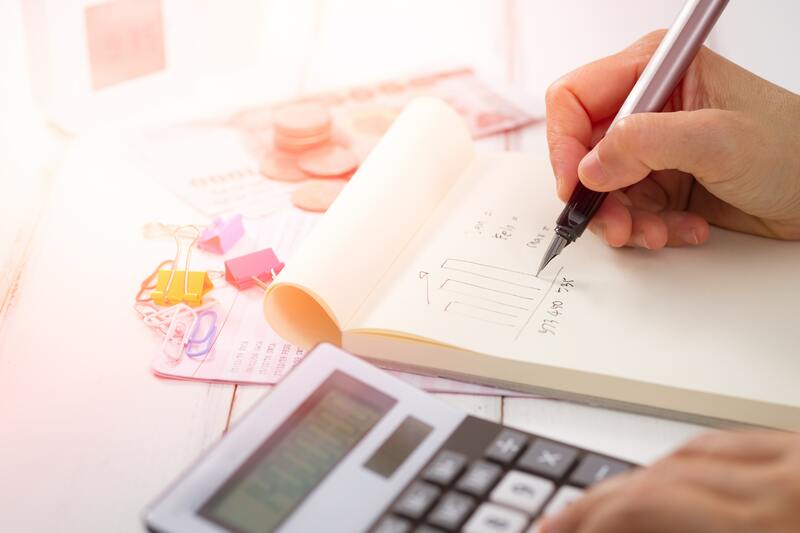 Being extremely diligent about saving for your taxes will help keep away the problems that you may face come tax time, which includes your quarterlies. I myself have spent years scrambling to pay my quarterly taxes and it’s so stressful and overwhelming. So take it from me, following these steps will save you a lot of stress and anxiety when tax season rolls around. An “easy” solution (yes, easy in quotation marks because it isn’t that easy) is to earmark 20% of your earnings and send it directly into a savings account for your taxes. When we talk about profit, we are talking about pre-tax profit. That means that the amount that we have to pay for taxes hasn’t yet been taken out. If we are taking draws that means that we are drawing out of what we owe for taxes. This is one of the reasons why it is important to pay yourself a market rate salary. If you don’t, then you are going to constantly be falling behind because you will have to dip into your bank account to make ends meet. I know some lawyers that pay themselves $1000 a month or even $20k – $30k a year will have to dip into that account in order to survive. $1000 a month is less than many people pay in student loans, plus you have your living expenses to account for too! Make sure that you are paying yourself a market rate salary so you aren’t constantly “stealing” from your tax savings. Getting organized with your finances is no easy feat, I know! But if you can get into the habit of putting even 10% away from each and every payment you get, you can get used to living without it. The goal is to get yourself out of this constant tax crunch. Set yourself up for success by saving year round for your quarterly and yearly taxes. It’s one of the greatest gifts that you can give to yourself! I know how tempting it is to get into that account and live the good life – I know because I’ve done it, and I have always regretted it! I want to save you the agony that I’ve gone through. Commit to your tax savings and approach tax season with ease! And hopefully, this advice will help you with the organization of your professional and personal finances too. If you can believe it, I have even more knowledge to share on this topic! If you’d like to learn more about conquering your taxes, sign up for my Six Figure Solo program! Six Figure Solo now comes in three tiers – Executive, Solopreneur, and CEO. Sign up here!